In February, Snapchat released a controversial app redesign that triggered backlash from users – including celebrity users like Kylie Jenner and Chrissy Teigen. The main complaint: The redesign separated celebrity Snapchat stories from those that came from your friends. 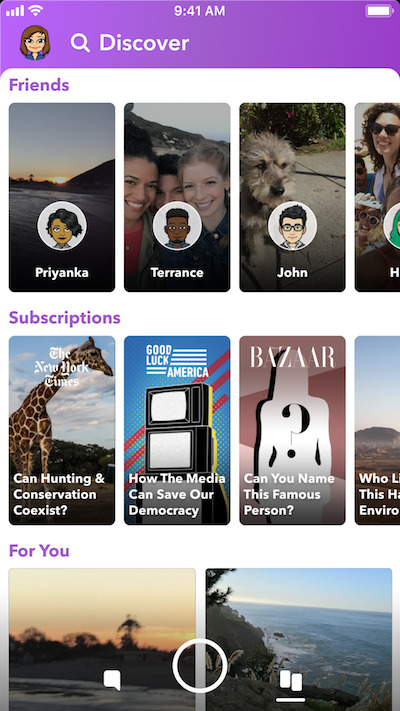 Snapchat confirmed that they were testing a new design that brings friends’ “Stories” back to the “Discover” page, and announced during its quarterly earnings that the change would eventually roll out to all users. 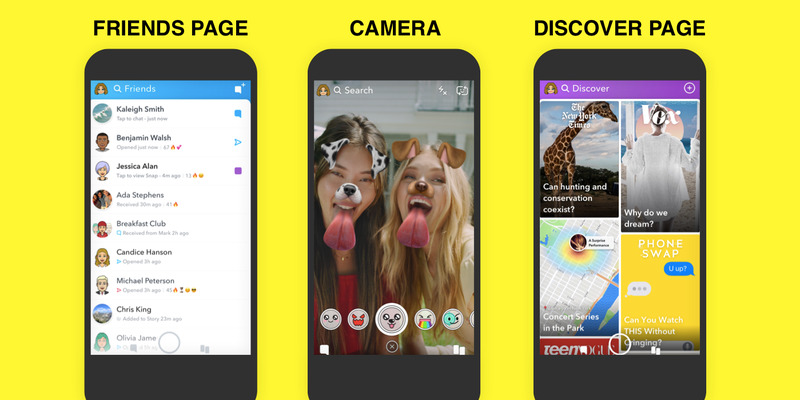 After months of insisting that the controversial Snapchat redesign was here to stay, the ephemeral messaging app is altering its course with some design tweaks. Snap, the parent company of Snapchat, confirmed with Business Insider in April that it had begun testing a new design for the app that would walk back some of the biggest changes since the original redesign dropped in February. Snap reported its quarterly earnings on Tuesday, and announced that those changes currently being tested would eventually roll out to everyone. To be specific, the updated design will reunite on the same page your friends’ Snapchat Stories with those that come from celebrities. The updated design is only available to a small number of users testing it now, with no word on when, or if, it will come to all users. Details of this Snapchat design test were originally reported by Recode. The separation of the two, across different pages of the app, was a major problem that users had with the redesign, and even frustrated celebrity power users like Kylie Jenner and Chrissy Teigen. Many users said that they valued that Snapchat made them feel as if they were friends with celebrities. Although this tweaked design does feel like a return of sorts to the app’s popular original design, there is still one major difference. As you can see from the screenshot, while celebrity and user content will be united on the Discover page, they’re still separated out in two different horizontal sliders. This adjustment feels like a natural compromise between the two very different previous designs. To that end, it allows Snap to continue its recent philosophy of clearly and actively distinguishing between content that comes from average users, and content that comes from celebrities and publishers. “We are always listening to our community and will continue to test updates that we hope will give Snapchatters the best possible experience on our platform,” said Snap spokesperson, in an email with Business Insider in April about the tweaked design being tested. This reflects a dramatic change in tone since just a couple months ago, when roughly 1.2 million signed an online petition pleading with Snapchat developers to undo the update. Team Snapchat gave no indication that the petition moved them, and CEO Evan Spiegel said publicly that the uproar only gave him more confidence. “Even the complaints we’re seeing reinforce the philosophy. The frustrations we’re seeing really validate those changes,” said Spiegel, just weeks after the redesign rolled out. Now, it seems, he’s more willing to meet users in the middle.